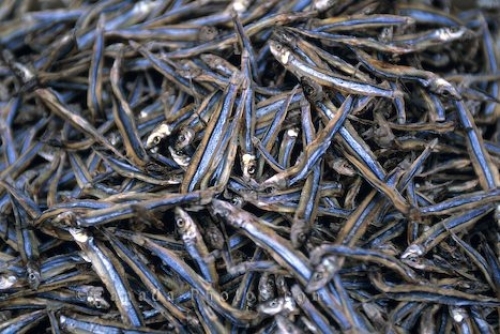 These small fish are found at the market in Toronto, Ontario and here you will usually get the best deal on these fish. Large bins of these small fish are found in the fish section of the market and you would would be amazed at how many people actually buy these little creatures. Markets, Toronto, Ontario, Canada, North America. Picture of a bin full of small fish for sale at the market in Toronto, Ontario in Canada.